The information you are viewing for this event is from Wednesday, Apr 17, 2019. 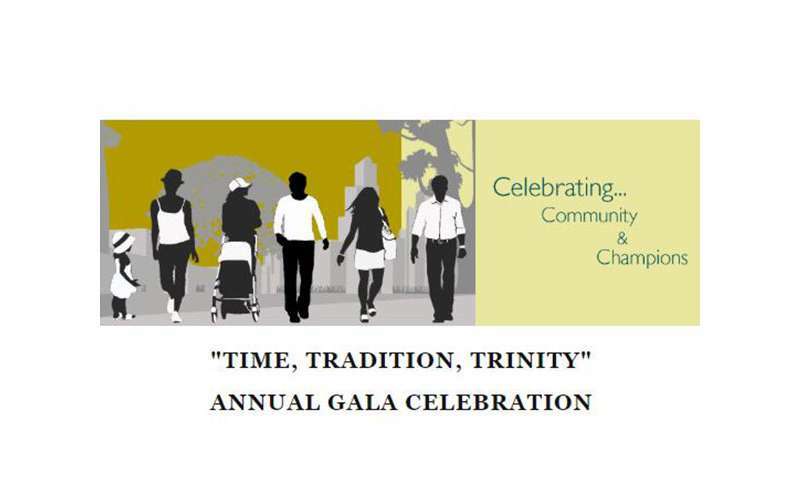 The "Time, Tradition, Trinity" Annual Gala Celebration is being held on Wednesday, April 17, 2019 at the NYS Museum. Our gala is attended by more than 500 people, and is growing in size every year! Don't miss this opportunity to support a great cause and have a fun night out. Funds raised will benefit the local programs and services that Trinity Alliance offers within our community for people of all ages. It is with great honor that we recognize our deserving 2019 Community Champions! Albany Medical Center for our partnership with the Emergency Department, under the leadership of Dr. Howard Snyder, providing nationally significant and unrivaled support of the SNUG program. Urban Grief, Lisa Good, for her two decades of trauma informed care to inner-city populations facing domestic and communal violence. Albany College of Pharmacy and Health Sciences, Dr. Greg Dewey for their visionary neighborhood based approach to health care delivery at the Collaboratory and beyond. Each of these honorees has stepped up to make the Capital Region a true community for all, providing us with a better place to live, work and play. To Life! 21st Annual Gala - "A Toast To Life!"